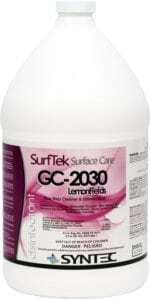 A concentrated chlorine sanitizer for use in the food service industry. 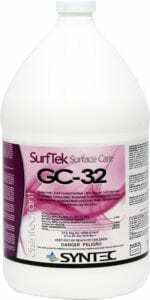 This highly concentrated product can be used in dish machines and other cleaning equipment. A multi-purpose, germicidal detergent effective in the presence of a moderate amount of organic soil. Cleans and kills 99% of germs and is bleach free. 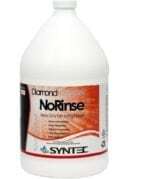 Eliminates tough dirt and germs. Deodorizes and has a clean, fresh scent. Use this product in Bathrooms, Institutional facilities, restaurants, public facilities, hotels and athletic facilities. use. Kills Pseudomonas aeruginosa, Staphylococcus aureus, Salmonella choleraesuis, Herpes, Simplex Type 2 virus, HIV-1 Virus, Infl uenza Type A/Hong Kong, Trycholophyton metagrophytes ( the Athlete’s Foot Fungus). A ready to use spary sanitizer for food and food prep establishments.